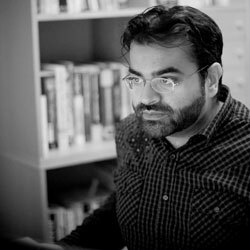 Adnaan Riaz Ahmad currently consults in the area of User Experience and User Interface Design. His vast knowledge of the field enables him to transform rudimentary requirements into expressive and useful user experiences on any medium or platform. What makes him unique as a designer is his in-depth knowledge of programming and development. This allows him to work closely with developers, boldly going where many designers have not gone before, and producing superior results. Adnaan has over 8 years of practical experience in User Experience and Interface Design. He has spoken on several occasions at professional venues on design and development to peers and colleagues in the field. Adnaan has created and maintained user interface specifications and guidelines, and has help evangelize the benefits of user-centered design. He has conducted front end research on projects and supports the research effort throughout the entire product development cycle. Adnaan continually meets the challenge of dreaming up concepts that help users quickly grasp a virtual world. Adnaan is able to translate requirements into visual wire-frames, prototypes, and fully realized designs. He excels at generating creative solutions to new usability and interaction problems. When working in a team, Adnaan is often asked to interface with the client because of his superior communication skills and friendly demeanour. He believes sympathy for the end user is what makes a great User Experience Designer and reflects this throughout his creative process. Adnaan currently lives in the DC/MD/VA Metropolitan area with his family. Adnaan and his wife, Maryam, have an energetic 4-year-old boy and a newborn. Adnaan is very much a ‘geek dad’ and loves to play computer games socially with friends. His love for fantasy and technology make Arthur C. Clarke’s third law one of his favorites; “Any sufficiently advanced technology is indistinguishable from magic.” In constantly pushing boundaries, Adnaan feels that he is bringing just a little magic to the world. Experience in designing inovative, user-friendly interfaces fro complex problems for commercial desktop and web-based applications. Excellent Communication, time management, conceptual and analytical skills, and an extreme attention to detail. Proven ability to apply user-centered design processes and methodologies. Bachelors of Fine Arts, Interactivity and Animation. Masters of Fine Arts, Interactive Design and Game Development.